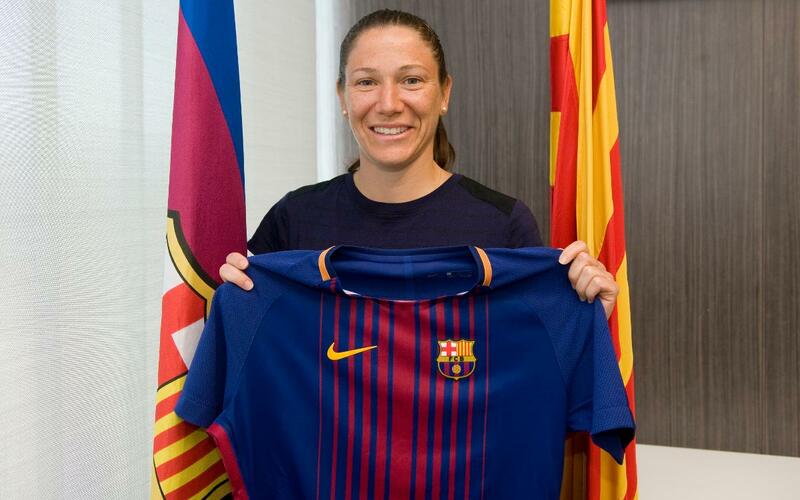 The FC Barcelona Women’s football team took a big step towards bolstering their squad for the 2017/18 season by signing Élise Bussaglia, a 31-year-old French midfielder who played the last two seasons at Wolfsburg. Bussaglia, who previously played at Paris Saint-Germain from 2009 to 2012 and at Olympique Lyon from 2012 to 2015, is Barça’s first signing for next season and will bring ample experience to the team beginning on July 1st. Bussaglia has also made 170 appearances for the French national team, scoring 28 goals. She has been summoned to play for France in this summer’s European Championships, to be held in The Netherlands in July. Bussaglia is a physical and versatile midfielder with an ability to lead and a winning character. Blessed with a strong leg, she is capable of scoring from middle distance.